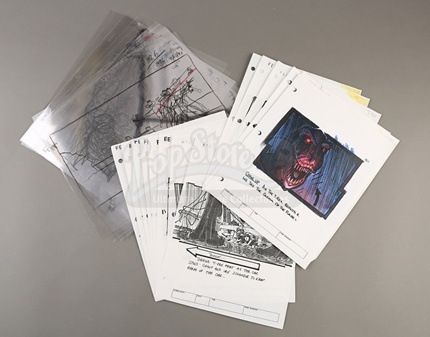 I found this Prop website with really cool original artwork & storyboards for Jurassic Park by Phil Tippett. I've never seen so many cool things. Wish I could afford some of them. Anyway I thought everyone might enjoy these amazing things. I've included a picture of one of the original hand drawn lots I thought was very interesting. The items are amazing for any fan, I wonder if anyone was lucky enough to win something? Ys, Scallenger did. A few other fans active on the JPToys boards did as well.